Today’s market is in need of digital food production or customization. 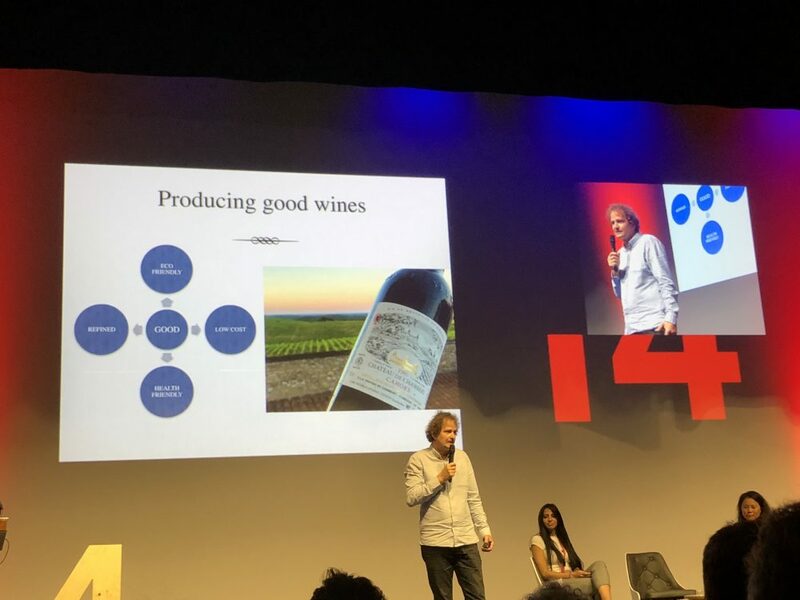 “FOOD” day – July 16, Day One at Fab14 in Toulouse, France – aimed at discussing and proposing new and fascinating ways of creating your own food. It could be food for production – or personalized products that make you smile – ending long production processes – and reducing manufacturing costs, by printing, scanning and more. Simone Amber, Co-founder of Fab Lab Connect, was in attendance at the FOOD discussion featuring speakers Hod Lipson, Lin Liu, Norella Coronell, Philippe Lejeune, and Amit Zoran. Here’s her report. 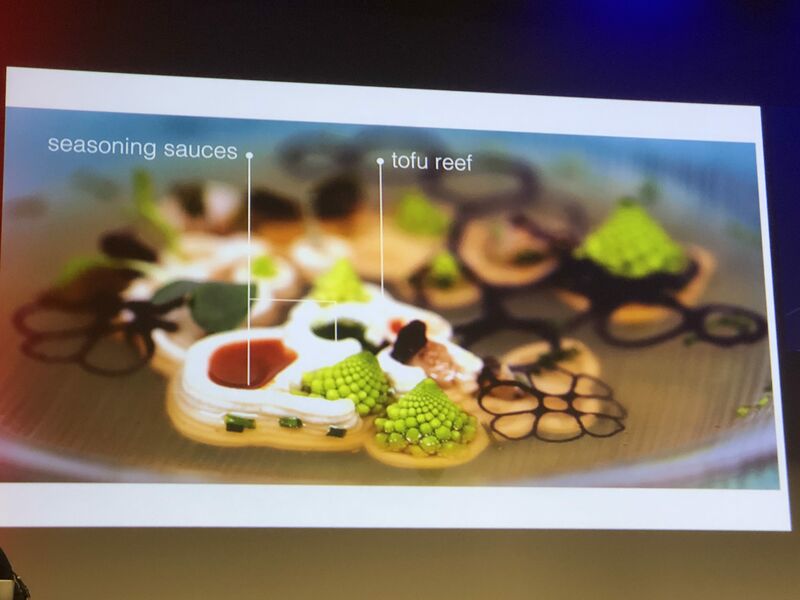 Hod Lipson, the first speaker (shown in the main photo above) presented what they are doing in the food space, one thing being “food printing” – combining cooking with software. Examples are cooking while 3D printing, and experimenting with lasers. It will not replace traditional cooking but could become an extra tool. 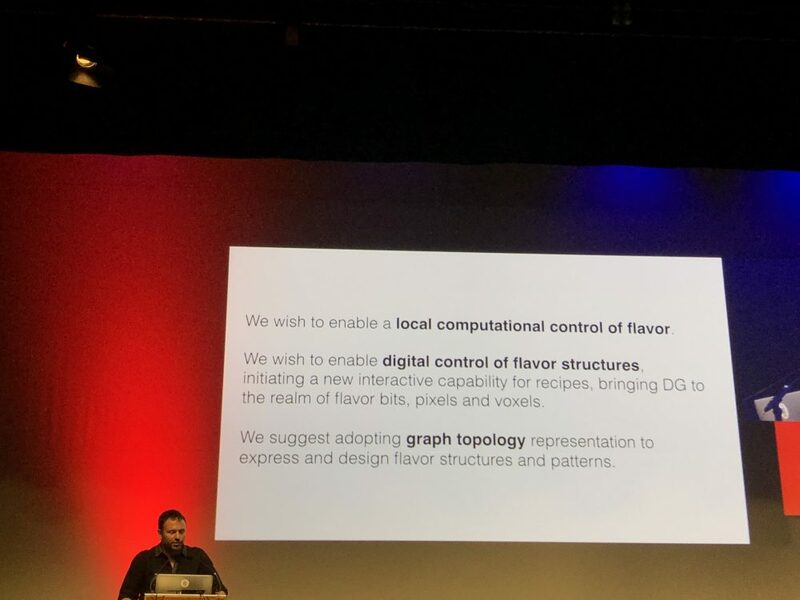 The essence of the presentation from Amit Zoran was how to combine traditional cooking with digital cooking – developing techniques and cooking technologies to selectively control the flavor of food. 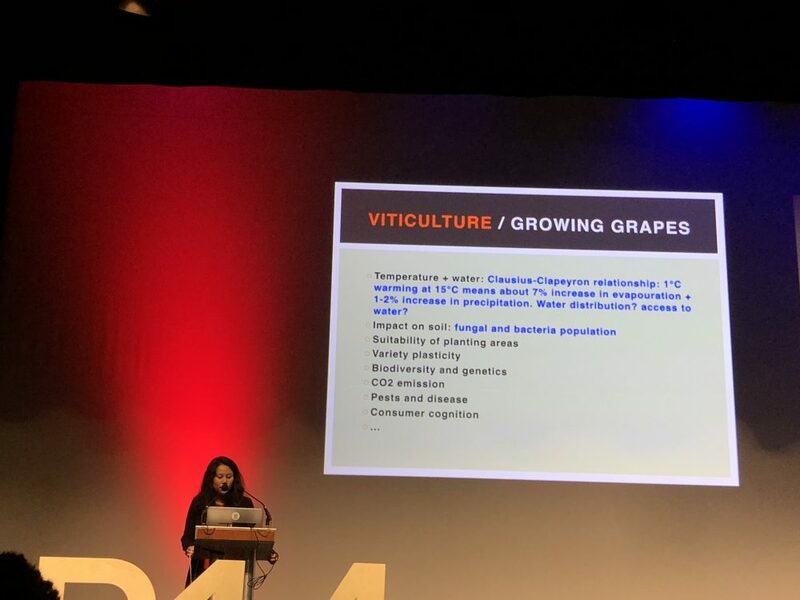 Lin Liu focused on climate change and its impact on viticulture. Lin Liu was born in Hangzhou, China, in 1976. She lived in Scotland for a few years, working in the whisky business, and has lived in Cahors, France since 2010. Today she is making wine, and distributing wine and spirits to the Far East. Also speaking in the wine space was Philippe Lejeune. He moved from being a geek to making wine. How to use technology in the vineyard? For example, he uses drones with infrared cameras to check the status. “Nature is complex, you need to understand the living system. You need wisdom,” noted Philippe Lejeune. He adds that when he was a geek, he was too binary, so it was difficult to understand nature with that approach. Each year members of the more than 1,200 worldwide Fab Labs gather to share, discuss, collaborate and create communities around the different local and global interests regarding digital manufacturing, innovation, and technology. This year, the FAB14+ conference was spread out over multiple locations around France, allowing participants to discover different parts of the beautiful country. Fab City Summit was from July 11-13 in Paris. Fab Distributed from July 14th and 15th had 8 location and themes to choose from: AGROFOOD in Albi, ECOLOGY in Auray, ECONOMY in Perpignan, EDUCATION in Bataville, Grand-Est, ENERGY in Clermont-Ferrand, MOBILITY in Le Puy-En-Velay, SCIENCE AND RESEARCH in Paris, and SOLIDARITY in Auray. 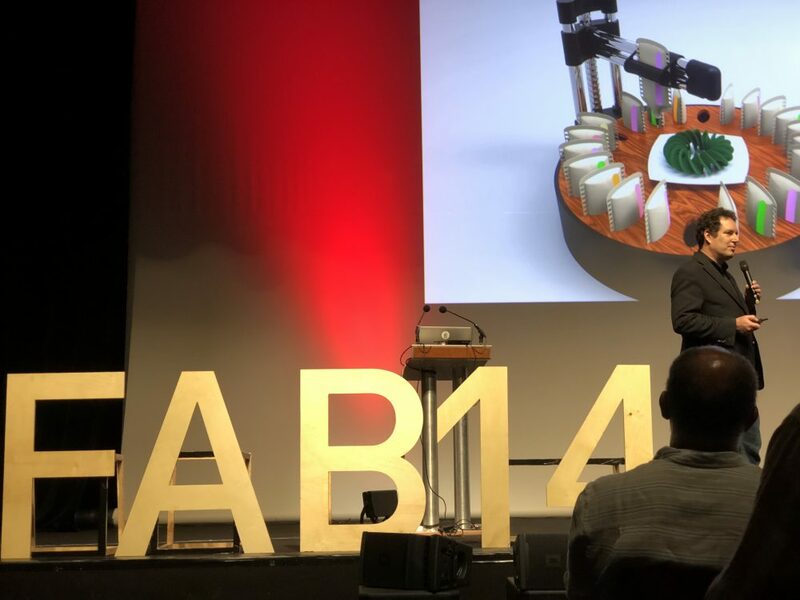 Finally, FAB14, the 14th International Fab Lab Meeting, is being held in Toulouse, from July 16-22, with “Fabricating Resilience” as its central topic. For more Discussions and Events, here is the FAB14 SCHEDULE. About Simone Amber and the Fab Lab Connect team.